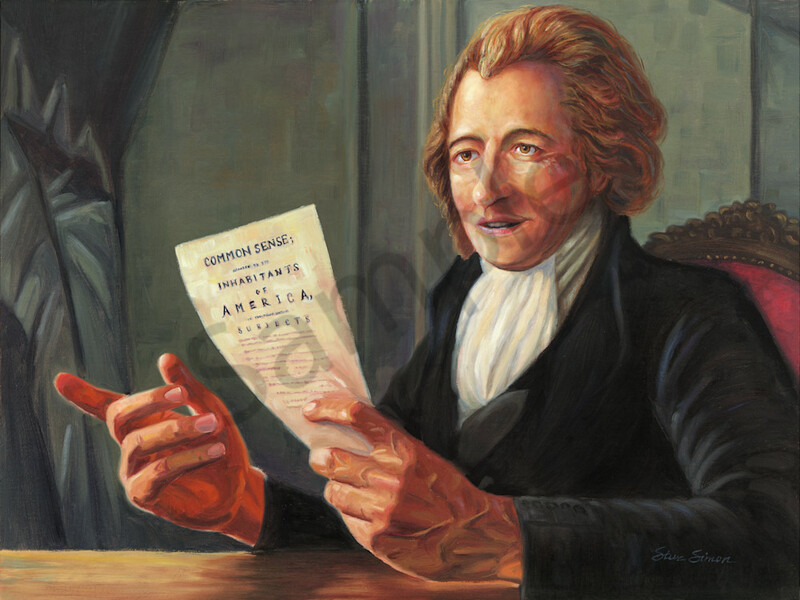 Founding Father and author of "Common Sense" is shown here presenting his pamphlet. John Adams said, "Without the pen of the author of Common Sense, the sword of Washington would have been raised in vain." Paine's pen not only proved moving in America, but he played a notable roll in the French Revolution as well. Perhaps even more extraordinarily, he was in favor of abolition of slavery, women's rights, and suffrage for non-landowners at a time when any one of these positions would have been deemed radically nonconformist, even by our enlightened Founding Fathers.